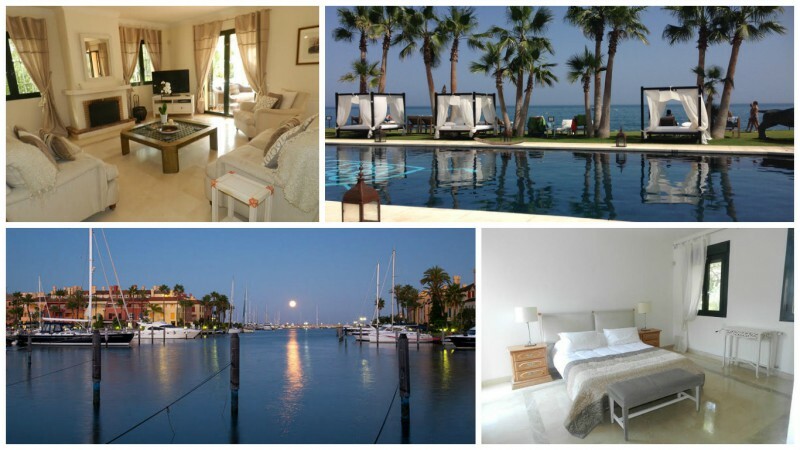 A luxurious villa in Sotogrande is now for rent! The area of the villa is 450 m2 built on a plot of land of 1,750 m2. There is an underground garage that accommodates four cars. There is also a gym area in the basement. The villa is set up as four double bedrooms and two sitting rooms, but the smaller sitting room can be made into a fifth bedroom if required. There is an ensuite bathroom, family bathroom, and a shower room with toilet. South-facing orientation with a large private swimming pool and great sun bathing area. A comfortable sitting room with French doors leading out to a lovely sunny terrace. The property is located in the urbanisation of Sotogolf, which is located in the Soto Alto area, and only minutes by car to local amenities of the beach, marina, golf, and local shopping. Contact Annika Urm at annika@i-marbella.com or call +372 57 494 232 or +34 671 161 512 for more information!